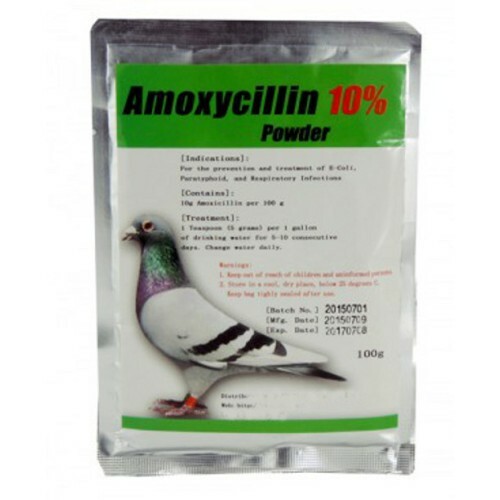 Amoxycillin 10% - 100g powder is for prevention and treatment of E-Coli, Salmonella (paratyphoid), and chronic respiratory infections. Preventive: 1 teaspoon (5 grams) per 1 gallon of drinking water for 5 consecutive days. Treatment: 1 teaspoon (5 grams) per 1 gallon of drinking water for 7-10 consecutive days.